Sitar is the king of musical instruments of Indio. The enchanting 'clinking tins' and the flowing Meend sound sweetest on this instrument. It is the tonal superiority of this instrument that has accorded Sitar its peerless position among the other instruments of music. It is true that it rose to the dizzy heights of populority quite belatedly. 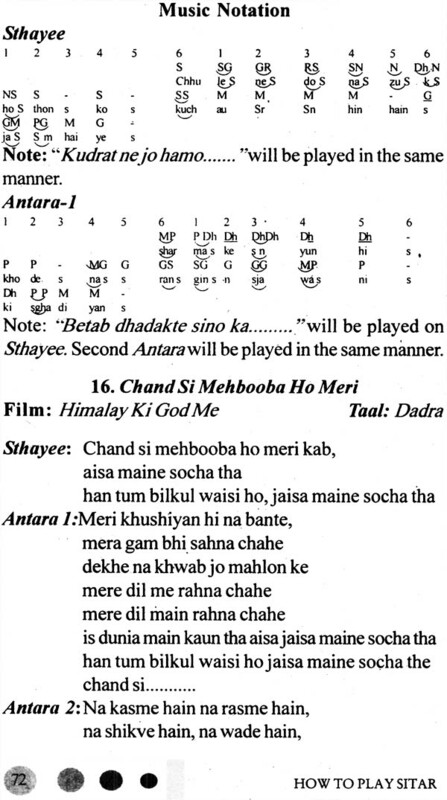 After having been invented by Amir Khusro by bringing about modification in the ancient Vedic instrument called Veena, the instrument didn't catch musicians' fancy immediately. Sitar is the king of musical instruments of India. The enchanting 'clinking tins 'and the flowing Meend sound sweetest on this instrument. It is the tonal superiority of this instrument that has accorded Sitar its peerless position among the other instruments of music. It is true that it rose to the dizzy heights of popularity quite belatedly. 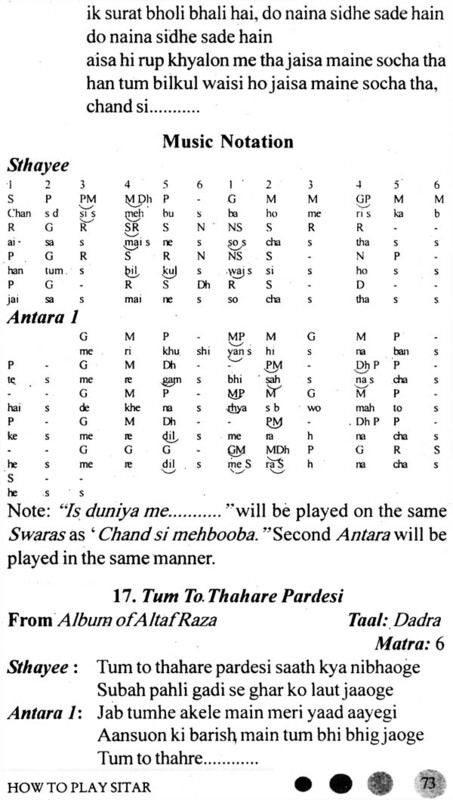 After having been invented by Amir Khusro by bringing about modification in the ancient Vedic instrument called Veena, the instrument didn't catch musicians' fancy immediately. Then it was Masit Khan of Delhi who brought about some more changes in the instrument to make it really fire the imagination of the musicians in the 18th century. With Imdad Khan and Baba Allauddin Khan of Maihar displaying their amazing 'dexterity on this instrument it became the cynosure of all music lovers. Since then it continued to gain popularity and became a universally beloved musical instrument when the Beetles, enchanted by the instrument under Pt. 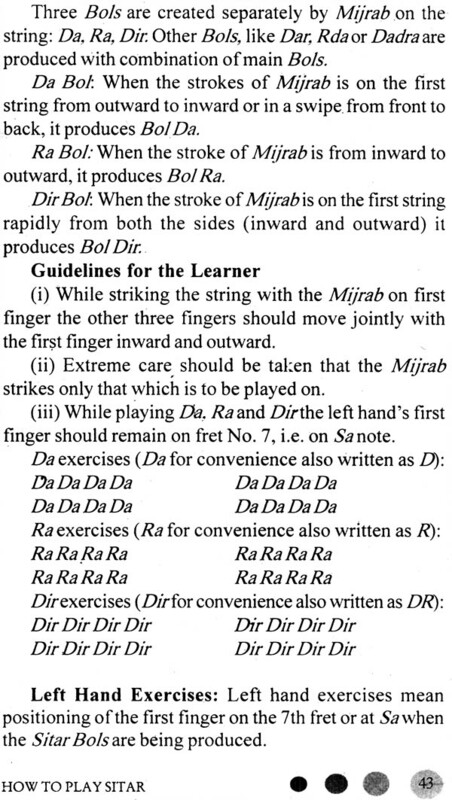 Ravi Shankar's guidance, took to Sitar playing. While Panditji continues to enchant the world at large, Vilayat Khan captivated the people of this subcontinent with his wizardous mastery over the instrument. It was Nikhil Bannerji who took Sitar to the intellectuals or highbrow gentry. It is now no more an unusual sight to see young boys going to attend their music classes with their tiny Sitars tucked up in their armpits, right from San Francisco to Tokyo or Moscow to Colombo. 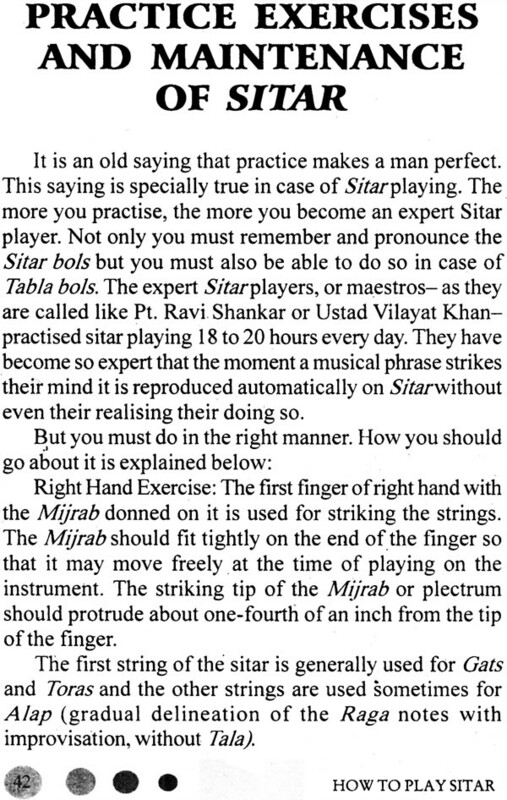 However, dispite Sitars popularity there are not many books that could impart the technique and basic knowledge in Sitar playing for the young learners. The going argument is it's too complicated. an instrument to be explained in cold print and unless there is a regular teacher, this knowledge cannot be acquired. It is to meet this very challenge that this project has been taken up. 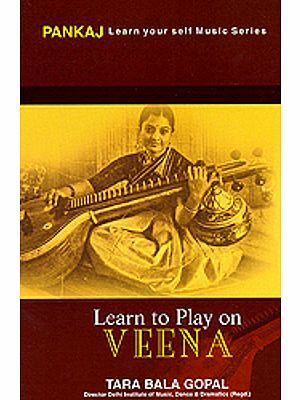 This book not only explains with the help of illustrations and line drawings the basics of Sitar playing but also suggests hints for acquiring further mastery in this art. Whereas the author doesn't claim any 'originality' in the gats etc. she avers that she is especially grateful to Mrs. Sheela Chaturvedi and Pt. Kishori Das of Moradabad whose practical guidelines have been of great help in the preparation of this work. Lastly, the author is particularly grateful to Sh. Narenderji of Diamond Books whose zeal to reveal these 'gems' to the masses has few parallels. May he succeed in his mission!